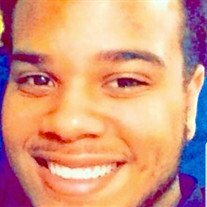 Obituary for Christian Jordan McClain | E.F. Boyd & Son, Inc.
Christian Jordan McClain was born in Cleveland, Ohio to Sarah Hill and Darrell McClain on April 5, 1996. Christian was a sorter for Amazon Corporation and he was currently enrolled at the University of Cincinnati majoring in Criminal Justice. He was also in the Army National Guards. Christian enjoyed playing video games, playing and watching basketball, going to the shooting range and hanging out with family and friends. His memory will be cherished by all who loved him.